If you’ve sustained a brain injury in a car crash, a fall, or some other accident, and someone else’s negligence caused your injury, you may be able to recover medical expenses and lost income with a personal injury claim. For more than two decades, the Fresno personal injury attorneys at our law firm have championed the rights of brain injury victims and helped them obtain maximum compensation. If you or someone you love is a brain injury victim – now or in the future – call the brain injury attorneys at Tomassian, Pimentel & Shapazian promptly and get the legal advice and representation that you are very much going to need. Even the mildest brain injuries can be catastrophic and life-changing. Long-term post-concussion syndrome, for example, is increasingly seen as a growing medical concern. Symptoms may include loss of memory, blackouts, and seizures. A mild intellect trauma can be entirely forgotten until symptoms emerge later; by that time, the condition may be severe. When an intellect trauma is the result of an accident where another person was negligent, we can help you obtain the compensation you need and deserve. Our brain injury attorneys will work alongside medical experts to compile the evidence and testimony you’ll need to prevail in negotiations or at trial. Brain injury victims suffer mental, physical, and emotional pain and distress. Victims also often suffer sleep disorders that result in anxiety, lethargy, and depression. The good news is that diagnosis and treatment of brain injuries is advancing rapidly. There’s every reason to seek the best possible treatment for brain injuries; let us help you win the compensation that will let you do that. In one word, trauma. But that trauma can be a huge impact involving a skull fracture or it can be something much less dramatic–even with no outside signs of injury. There are too many symptoms that can arise from a traumatic brain injury (or TBI) to list and not all such injuries have each of the symptoms. But common symptoms are unconsciousness, headaches, forgetfulness, mood or personality changes, inability to think or concentrate, difficulty in ‘finding’ the right word, dizzy, double vision, nausea, vomiting, headaches, profound sleep or sleepiness. A medical malpractice attorney may be of help as well. How long does a traumatic brain injury last? There are a lot of variables, but, for example, athletes in the NHL or NFL have been known to miss weeks and months with concussion symptoms. If there is an actual physical injury to the brain itself, then the injury can be lifelong. A concussion can cause a disruption in the normal brain function which we might see as being ‘knocked out.’ Under certain conditions, the brain may ‘slosh’ around inside the skull, causing damage where it may impact the inside of the skull or where it pulls away from the skull. Why do you need an attorney after a brain injury? So you have a complete and thorough understanding of what that injury means for the rest of your life. Referrals and access to top-flight neurologists who can treat and evaluate such injuries. Peace of mind, having someone handle all the legal aspects and details while you concentrate on recovering from your injuries and getting better. Making sure that your case is treated fairly and completely by the insurance company of the person that caused your injuries. 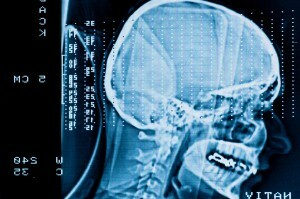 How much does an attorney cost after a brain injury? Normally, the attorney fees are one third if the case is resolved before filing suit or 40% of the gross recovery if after suit is filed. Our experienced TBI attorneys maintain flexible hours to meet your scheduling needs, and we return every call promptly. Tomassian, Pimentel & Shapazian serves clients in Fresno, Madera, Tulare, Kingsburg, and Hanford counties. Our staff speaks Spanish and French, so don’t let a language barrier keep you from obtaining the legal help you need. If you or a member of your family is coping with a brain trauma or any other serious injury where another person was at fault, take the first step toward the justice you deserve. Call the TBI lawyers at Tomassian, Pimentel & Shapazian today at 559-277-7300 or contact us online to schedule an initial consultation.